Social media blunders and how to face them. I am not rude or mean (at leats I never try to be) but sometimes you make mistakes and here are the ones I made and how to fix them! Hopefully, this will maybe help you. Plus, if this ever happens or happened to you we can all relate and maybe be slightly less embarrassed. Organise your blog and business even better with the free site Trello! Do you sometimes feel like ideas, to do’s resources and the rest of your blog and business is all jumbled and disorganised? Trello is a free site that can help you organise anything and everything! Digital art is easy fun and possible for everyone. It doesn’t necessarily require any expensive art supplies and ones you’re all set up you can keep working with the same equipment for a long time. Digital art means anything made with the help of a computer. This can include fractal, pixel and animation but also photomanipulation and digital painting. Personally, I mostly focus on the last one; Digital painting. So what do you need and what should you know before starting? I think youtube is a great way to learn since you can literally watch the techniques of others. The endless amount of artist is also very amazing. These are some of my favourite artists that I think I think I learned a lot from already. Being productive is nor easily done and some days it feels harder than others to get things done. The reasons might not always be clear but disorganisation, stress or distractions are a few examples. Luckily the internet is full of helpful tools to help you get back in the flow of things. 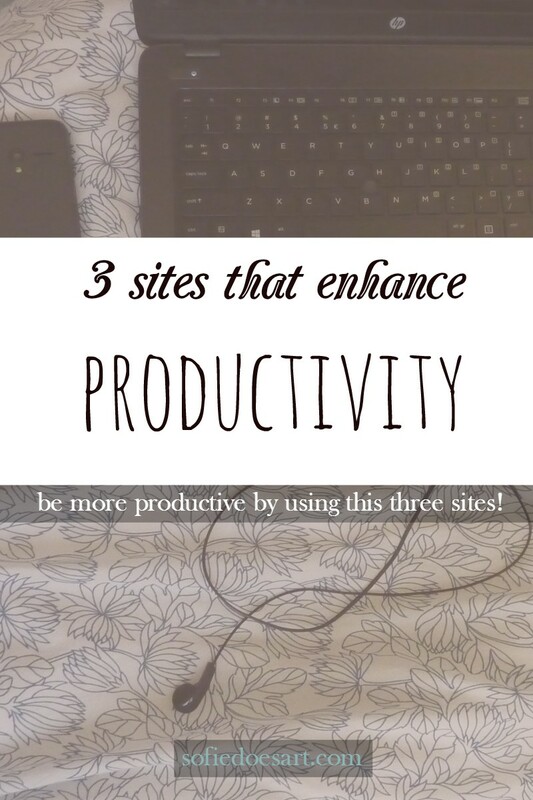 These are three of my favourite sites to help you get on the right path.